Chihuly at Biltmore is an impressive exhibition of art in glass. We end the series with Sole d Oro in front of the Biltmore House at blue hour. 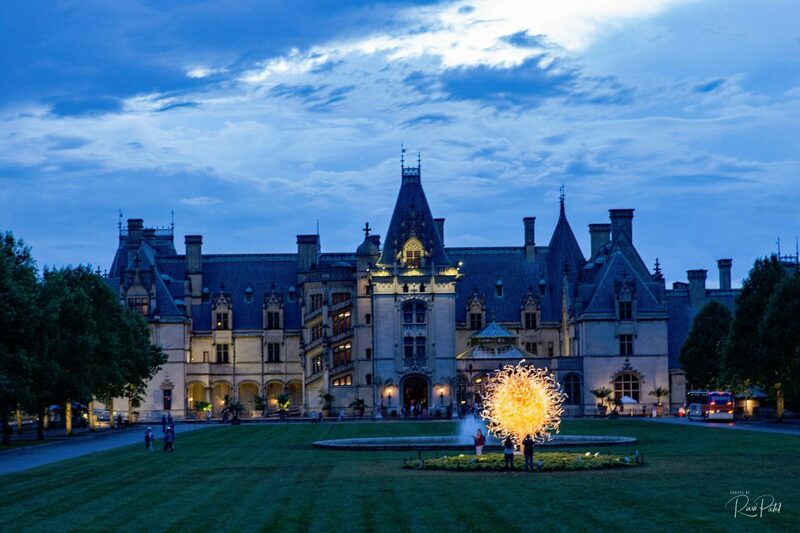 This entry was posted in art, North Carolina, Photography and tagged art, Biltmore, blue hour, Chihuly, glass. Bookmark the permalink.